[CHEE-KEE-TAY-O] NLY-FOR-A-LIMITED-TIME. — Txikiteo | Now accepting regulars. 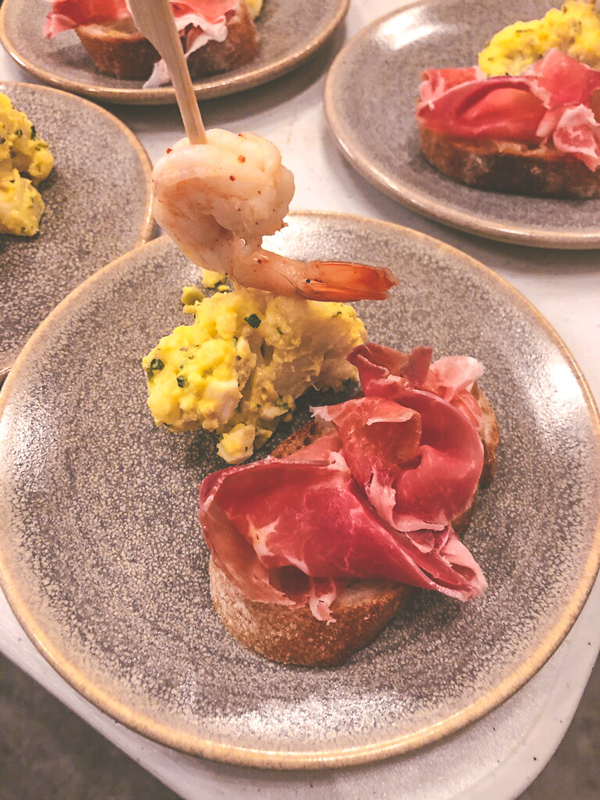 Canary Island wines took center stage at Txikiteo for a special tasting event last week. 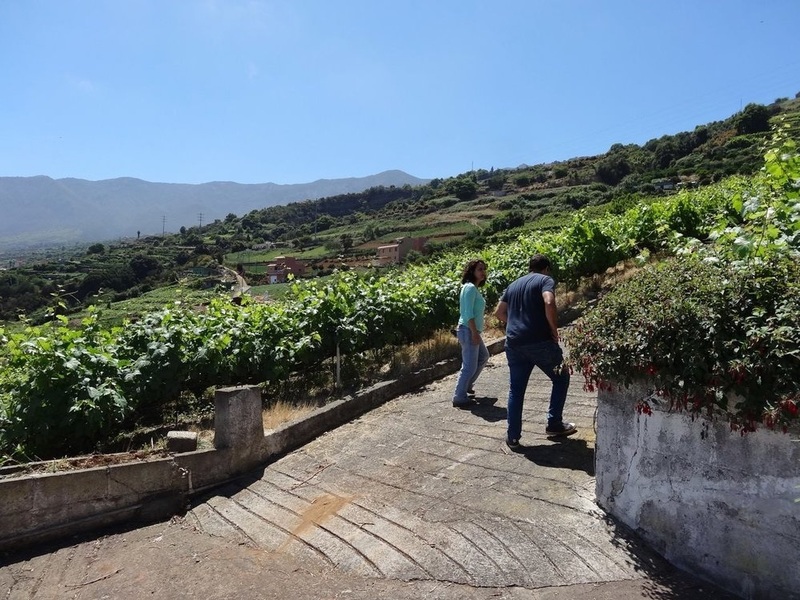 Participants were treated to what distributer Ryan McReynolds called “a 10,000-foot view” of the island community of Tenerife, where farmers and winemakers have been producing wine for centuries. With its unique mix of influences ranging from Atlantic Ocean exposure to high and dry volcanic conditions, this small island produces wines known for their variety and distinction. 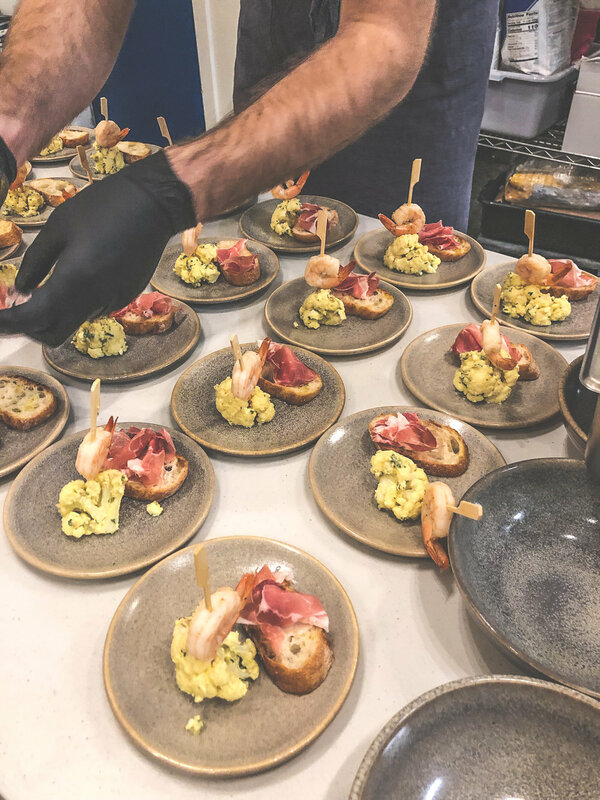 A mix of brief and information-packed discussion and lots of informal, free-flowing conversation, the event was like the best kind of dinner party. If you missed the tasting, don’t despair; you can still sample some of these special wines. Three of them have been added to Txikiteo’s list for the month of February: a 2017 Envínate 'Benje' Tinto and 2017 Envínate 'Benje' Blanco; and a 2017 Dolores Cabrera Fernández 'La Araucaria' Tinto. 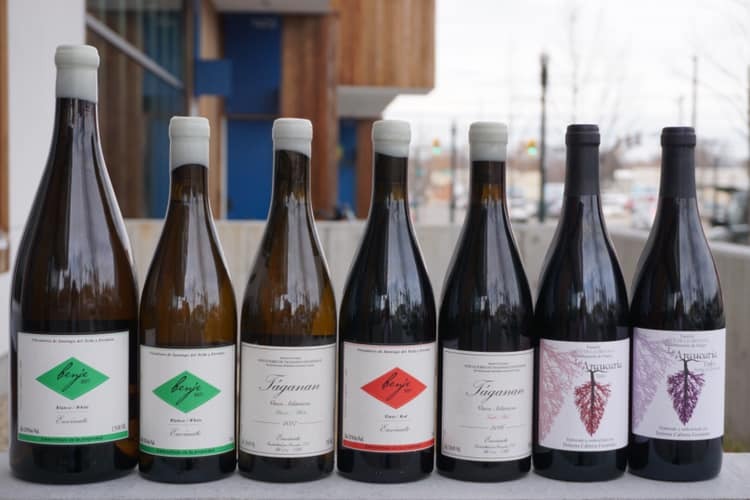 The approach to these wines is singular and natural, from vineyards that are worked organically; most are bottled without fining or filtration. The Dolores Cabrera Fernández is a beautiful wine with a bit of funk and a lot of red and black fruit notes. The Envínate wines (“Real Wine from Real Folks”) are both old-vine sourced and hand-harvested; the Benje Tinto is a pure expression of high-elevation, volcanic Canary terroir, with notes of red fruit, peppercorn, and flowers. The Benje Blanco is a high-toned white wine, with smoky notes, an orchard fruit core, and a refreshing acidity. Dolores Cabrera Fernández among her vineyards. A view from one of the Envínate vineyards, complete with baskets of hand-picked grapes. The Envínate team working exclusively by hand in the rugged volcanic terrain of the vineyards. The unique volcanic landscape of the largest canary island, Tenerife. 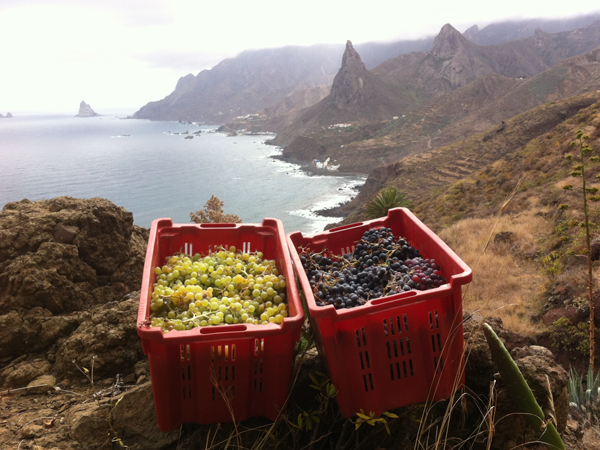 The vineyards are planted “wild” on cliffs just above the Atlantic Ocean, and under the shadow of Mount Teide.